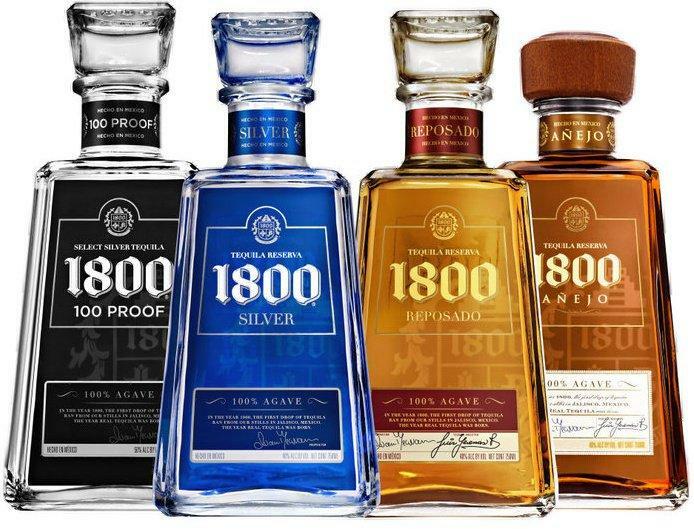 Named for the first year tequila was produced, 1800 Tequila doesn't rely on smoke and mirrors – it embraces the authentic roots and heritage that have contributed so greatly to the smooth, rich taste it has become synonymous with. That's why the brand continues to employ its original distillation process, using authentic masonry kilns and copper pot stills. The age-old traditional formula is crafted with Weber Blue Agave plants grown in the mineral-rich volcanic soil of Jalisco, Mexico, and aged for eight to twelve years before they're handpicked. The bottles that end up on the shelves contain the same quality tequila as every bottle that has left the distillery for centuries. "100% de Agave, double distilled and aged in mostly French oak and a small portion of American oak for up to 3 years."